Though Islamabad’s property sector has been through a rough patch over the last six months, which was particularly irksome given the stellar performance of the market in 2013, there are still a number of investment opportunities in DHA Islamabad, Bahria Town and CDA Sectors that investors can still capitalise on in the federal capital. In order to analyse Islamabad’s property market in detail, Zameen.com interviewed Patiala Associates Chief Executive Officer (CEO) Mr Furqan Ahmed. We are grateful to Mr Ahmed for providing us with his expert take on the ins and outs of Islamabad’s real estate sector. Mr Ahmed started his real estate career in 2000 in Faisalabad. He then shifted to Islamabad in 2003 and established his very own Patiala Associates. He told Zameen.com that he chose to pursue a career in the real estate sector because it offered independent work and good earnings. Zameen.com: What is the current scope of investment in Islamabad’s property market? Which areas are good for short- and long-term investment? 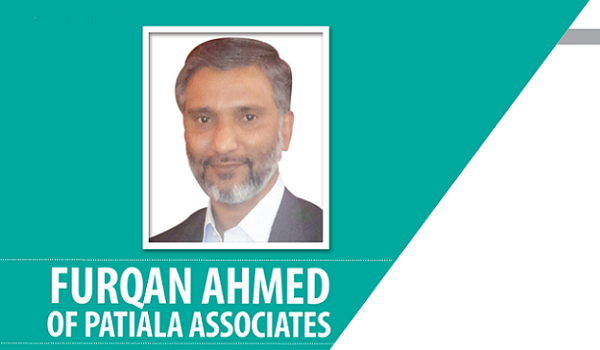 Furqan Ahmed: Islamabad’s property market has been witnessing comparatively less sale-purchase activity for the last 3 to 4 months, but I have not seen property prices dropping here. The primary reason behind the slow activity is the increase in property taxes by the government. For the short term as well as the long term, I would suggest people invest in Sectors F-6, F-7, F-8, F-9, F-10, F-11, G-8, G-9, G-10, G-11, G-12 and G-13. I would not advise investors to invest in Bahria Town because the locality’s prices are uncertain and there are fluctuations. On the other hand, DHA Islamabad is a good locality for investment because it always exhibits stable hikes in its property prices. Zameen.com: What, in your opinion, would be the impact of the Metro Bus System on Islamabad’s property market? FA: In my opinion, the Metro Bus System is unlikely to impact the property market, as it is an exclusively transportation-related development. The project will indeed facilitate the residents of Rawalpindi and Islamabad in terms of commuting, but it will not affect property prices in the twin cities. People have faced problems because of the construction of the Metro Bus System, and after its completion they will probably heave a sigh of relief and start benefitting from the project. Zameen.com: What role does the Capital Development Authority (CDA) play in Islamabad’s property sector? Do you think the CDA should raise its development standards? If yes, any suggestions? FA: The CDA is not playing the role it should be playing for the proper development of the property sector. In my opinion, the authority needs to review its policies and development standards. Here, I would like to commend the development strategies that DHA and Bahria Town adopt to provide high-end projects to people. Property investors face delays in CDA’s projects. According to CDA bylaws, the authority is required to undertake all the development-related tasks itself. So, I would suggest the CDA amend its policies and consider executing development projects in partnership with private-sector organisations. Zameen.com: Which important factors should overseas Pakistanis consider before investing in the property sector? FA: Overseas Pakistanis should first search for an honest real estate agent to guide them through the property buying and selling process. They should also study the market using online platforms to take informed investment decisions. Furthermore, they can request their relatives living in Pakistan to check the legitimacy of the investment deal they intend to make. For long-term gains, my suggestion for overseas Pakistanis would be to invest in CDA’s sectors such as C-14, C-15, C-16 and I-12. And if they intend to inject their money in the market for the short term, I would advise them to consider DHA Islamabad and Sectors I-14 and I-15. Zameen.com: DHA Islamabad is very popular among buyers and investors alike. Can you tell us what kind of activity DHA Islamabad is witnessing these days and what are the current rates in the locality? FA: DHA Islamabad is witnessing good investment activity these days and property prices have also increased here impressively in a short time. In Blocks A, B, C, D, E, F and G of DHA Islamabad Phase II, the sale price of a 1-kanal plot hovers between Rs 12,500,000 and Rs 15,000,000. But if you would like to invest in the locality and get good returns, I would suggest you consider blocks K, L, M, N and P, as the average sale price of plots in these blocks lingers between Rs 7,000,000 and Rs 8,000,000, which means that prices have room to increase in future. Zameen.com: What should an agent do to stand out in the market and develop good relations with clients? FA: The agent should provide security to the clients’ investment by honestly guiding them about safe investment options. They should not only consider their personal benefits, but also give importance to the clients’ requirements. If a relator is charging 1% or 2% commission for their services, it is their duty to maintain proper documentation of the transaction and adopt an honest approach. This will help them get more clients through referrals. I have a number of clients whose extended family members now avail my services. I’ll give you an example. Real estate agencies usually charge people living overseas for looking after their properties in Pakistan, but Patiala Associates does not charge people for managing their properties in their absence, and in return we get a lot of clientele through referrals from happy customers. Zameen.com: What role does Zameen.com play in the development of the real estate sector? How do you benefit from the portal’s services? FA: I would say Zameen.com is the backbone of the property sector and plays an important role in its development. Almost 60% of my clients contact me through Zameen.com and I also recommend my friends to avail the portal’s services. I would also like to tell you that sometimes I personally pay to enlist my friends with the portal just to show them the services offered by Zameen.com and what they can stand to gain from signing up.